Over the last few days I have been reuniting myself with the art of riding a single speed bike equipped with a freewheel rather than a fixed wheel . Over the years I have owned and ridden 6 such bikes and 1 that had a flip flop rear hub so I could run fixed or freewheel , these have ranged from a couple of basic Peugeots to an unknown make track bike that was a great bike to ride and own but I just couldn’t get on with riding fixed so spent most of its life on freewheel . I will have to try riding fixed again soon to see if with a more correctly sized frame it makes it easier, as the track frame was on the larger size of my fitment range . Realistically, a single speed bike should be able to be built up a lot cheaper than a multi geared one due to the lack of gear levers and mechanisms that would need to be purchased. 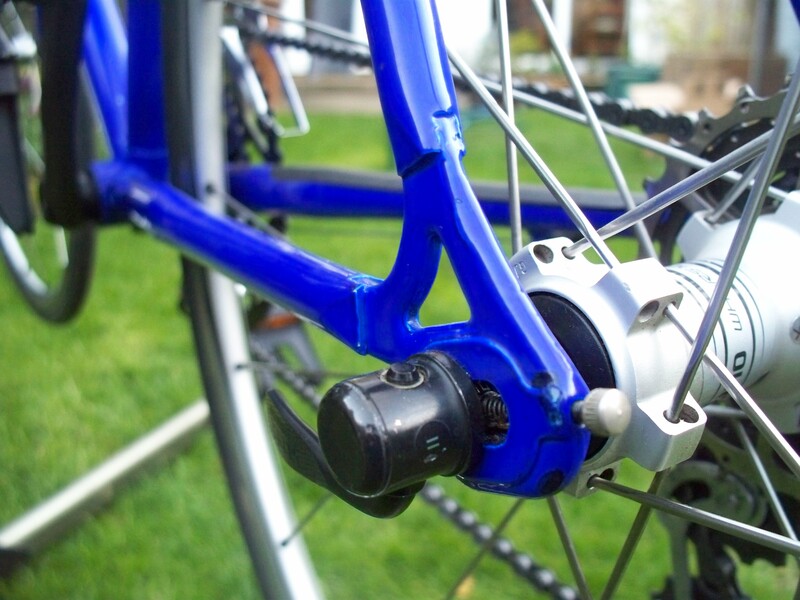 The lack of these components also reduces the weight of the completed bike as well . So far I have not built one using all dedicated single speed products, they have normally been assembled using components I already had in my various spares box . I used a Sigma branded steel frame of unknown grade for quite a while and found it one of the best bikes I had owned at that time for commuting on , the lack of gears makes them an ideal commuting machine as they have fewer parts that can go wrong or need maintenance . 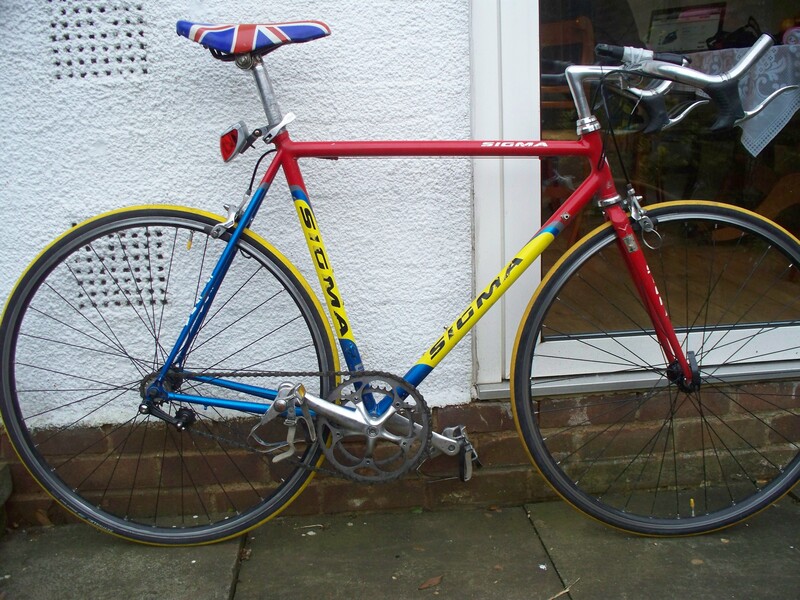 The Sigma was a nice bike to ride and handled all I threw at it over the period I owned it . Another build I did was based around a modern alloy framed Saracen and again that was nice to ride but not quite the ride quality of a good old steel framed bike . 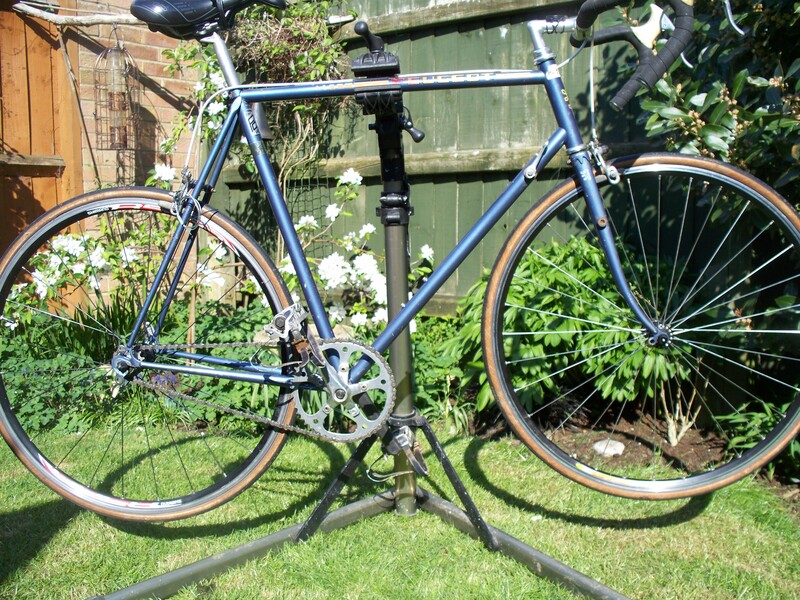 All other builds have been based around good old steel frames ranging from an early 80’s Falcon with Ti Tubing rather than Reynolds as can be seen from picture below. I built this one up with flat bars rather than drops so it was a bit more user friendly and ideal for nipping in and out of traffic . 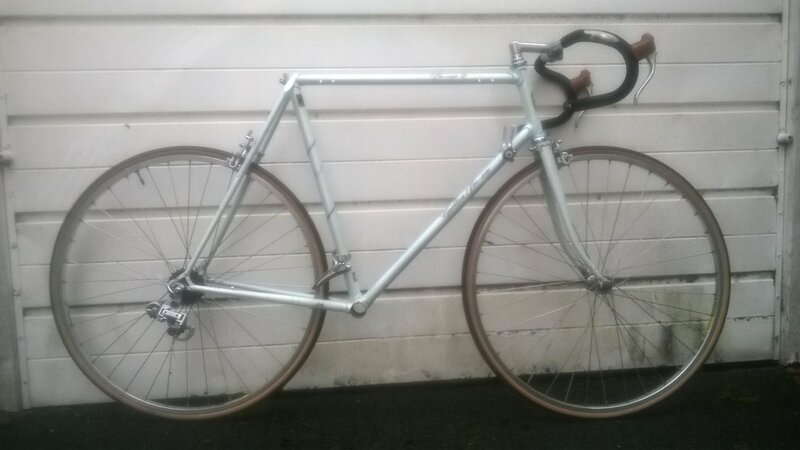 As mentioned earlier, I built one round what was believed to be a 60’s or 70’s track frame complete with rearward facing dropouts and undrilled rear brake bridge meaning it was only equipped with a front brake operating, which didn’t help with the riding experience . It was a nice ride and introduced me to the art of riding fixed gear as it was equipped with a flip flop rear hub . 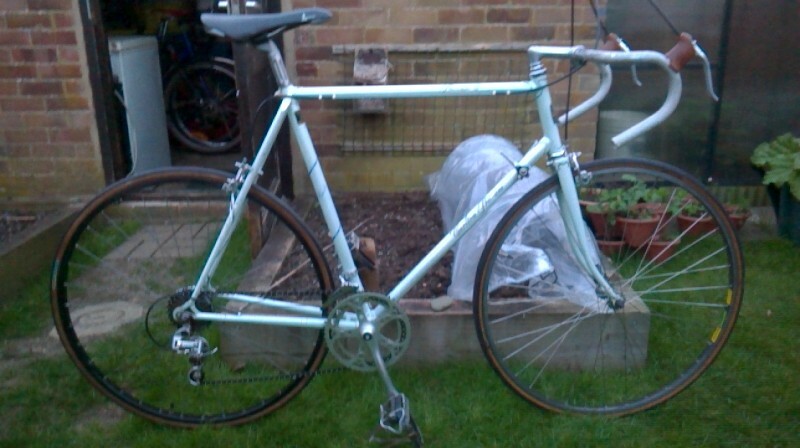 The other bike that has not been mentioned so far is my Pollard Specialite which I have owned for 4+ years now and has been ridden in geared format and was converted late last year to single speed. Again this has been built around a steel frame that either started life as a track or pathe frame from an earlier era that at some point has been fitted with more recent front forks . 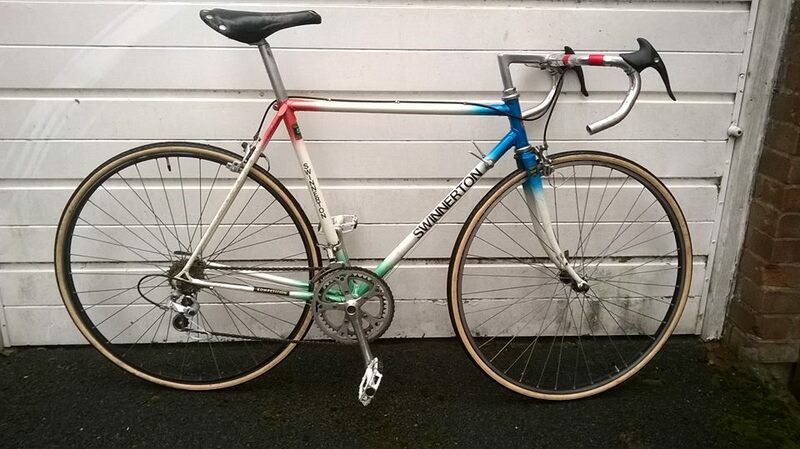 When first purchased this was set up with later shimano 105 mechanisms and handlebar mounted thumb shifters and was rode with that set up for 3+ years before I finally decided to convert it to single speed . It’s a great bike to ride no matter what set up and as it bears the name of a Coventry / Bedworth cyce maker it has a link to my birth town . 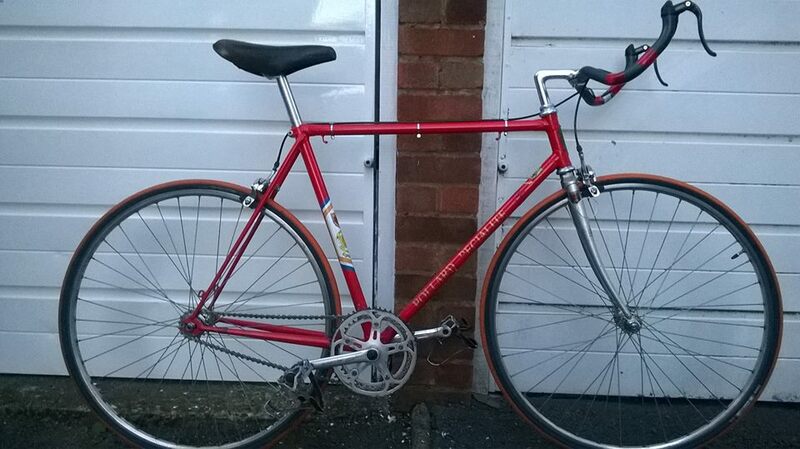 Last night I picked up what looks to be a very nice and original 1986 ish Raleigh Royal from the early 80’s. Upon quick inspection it looks like it just needs a good lube service along with some new cables and brake pads to go along with the already replaced tyres which were good tread wise but the front side wall was a bit too cracked for my liking . My initial 4+ mile return commute seems to confirm the above statement . The paintwork is very clean and tidy for a bike that is around 30 years old and looks to be of a standard showroom specification. This will be a work at it as I go along project I think for the vast majority of the required work, starting with a clean and re grease of the headset bearings. Whilst the forks are out they will get a good thorough polishing on the paintwork and chrome work . 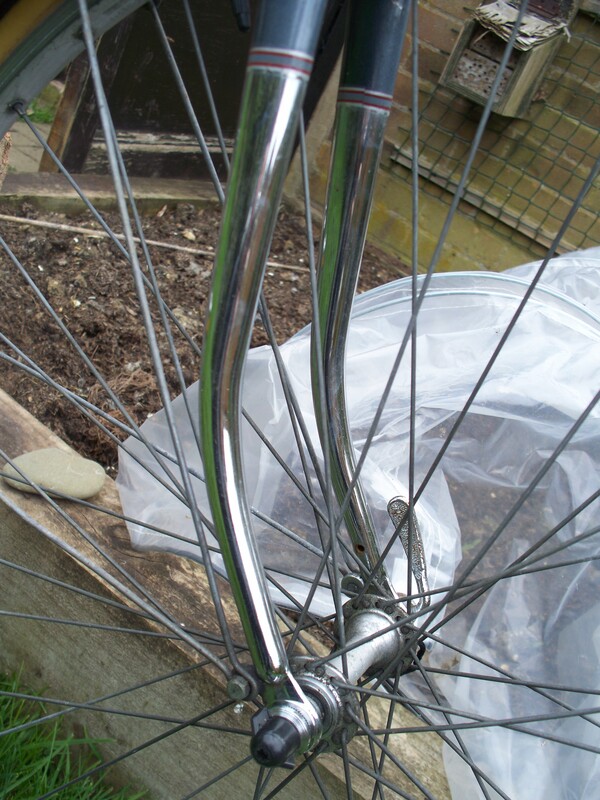 The front wheel spokes will get a light rubbing down with some wire wool to remove the tarnishing that has taken place on the galvanized items, once that has been done the hub will get a bit of attention along with some cleaning and fresh grease . Next up will be the brake cables as they feel a bit slow on the return at the moment, once they are done new brake pads will also be fitted to give the bike a bit more stopping power . 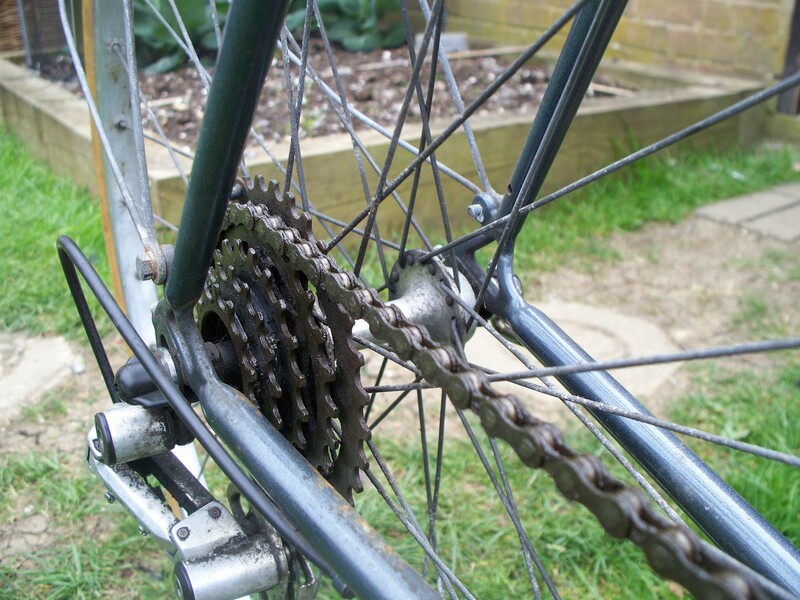 Next up will be the drive train, first of all the chain will get a bit of a cleaning to see what it looks like although in the long run I might just fit a new chain and give the rear gear block and jockey wheels a bit more of a clean . 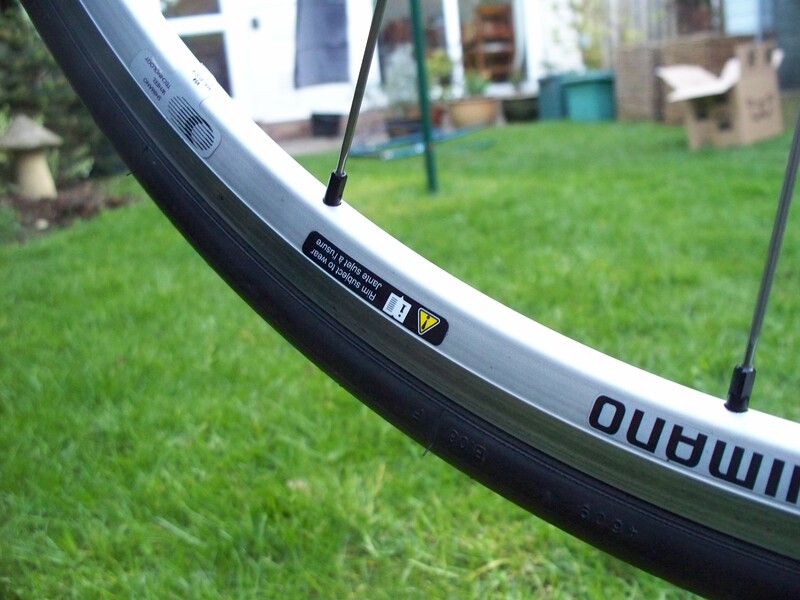 The rear wheel spokes also need a bit of de-tarnishing whilst both rims could do with some polish and elbow grease . 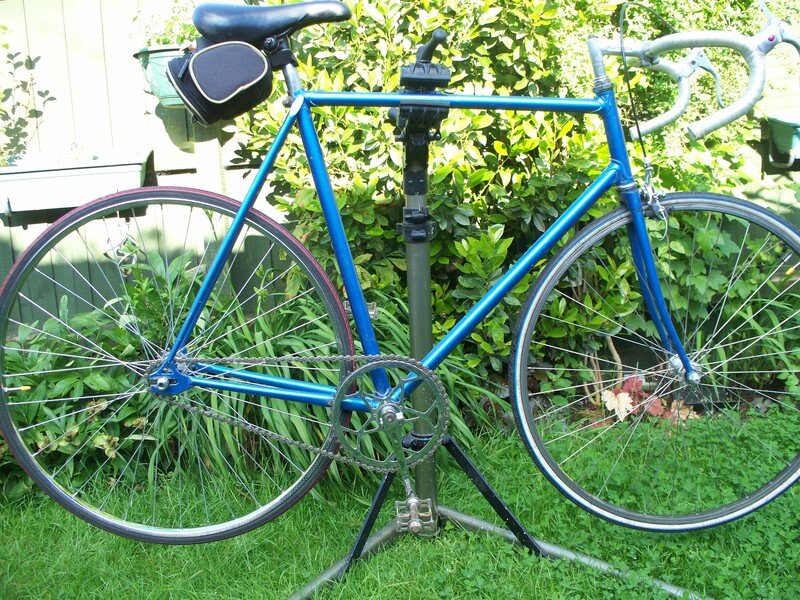 Aprox 18 months ago I swapped a nice little Swinnerton road bike for a completely stripped Carlton pro am12. It was initially pushed to one side to wait its turn amongst my other current projects , well a couple of weeks ago it finally reached the top of the pile , and the rebuild started . The paintwork was left untouched along with all its original patina from over 30 years of use , which I feel is the best approach rather than going for a complete repaint and losing all its originality in one fell swoop . I wanted to try and keep it as near as standard as possible so retained original gear mechanisms and levers along with brake calipers and levers , handlebars , stem and seat post . 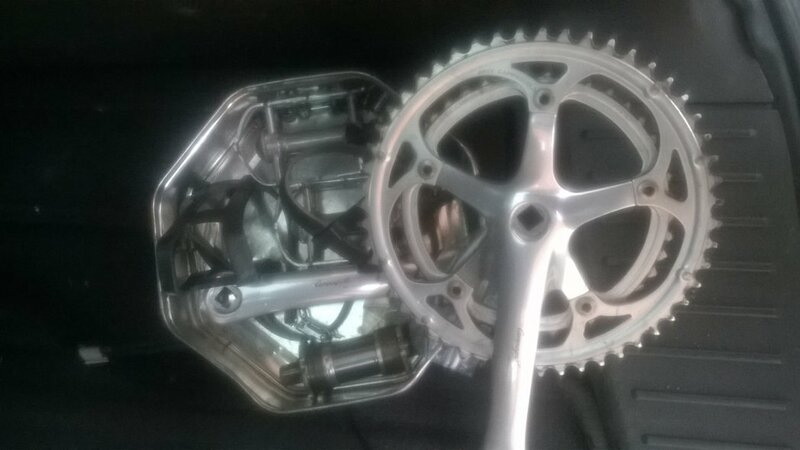 The original crank set had long gone so the nearest one I had in my parts box was used , this being a slightly more modern stronglight set that I feel does not look out of place . 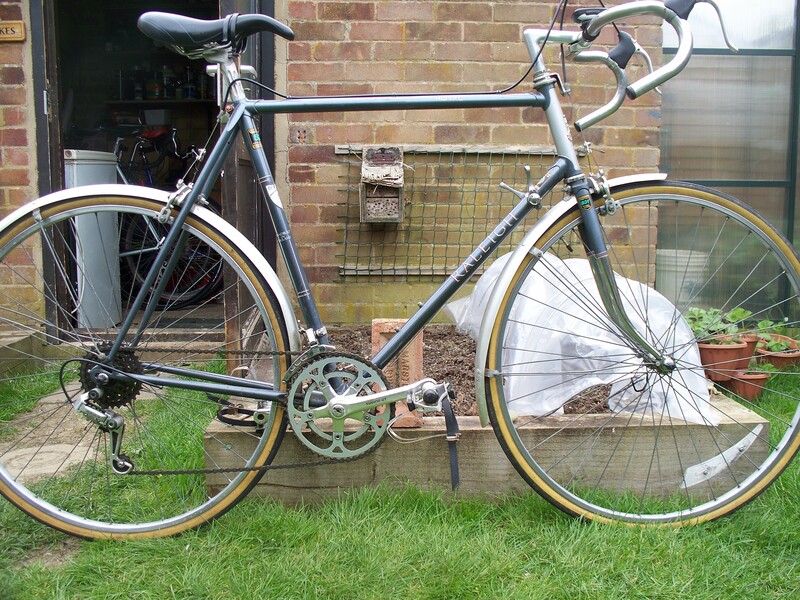 The original wheels were used on a much earlier project of mine so a hunt through my stock of wheels gave me a choice of sprint & tub wheels or a mixed age set of clincher style wheels , I have decided at the moment to use the clinchers but might change my mind yet . 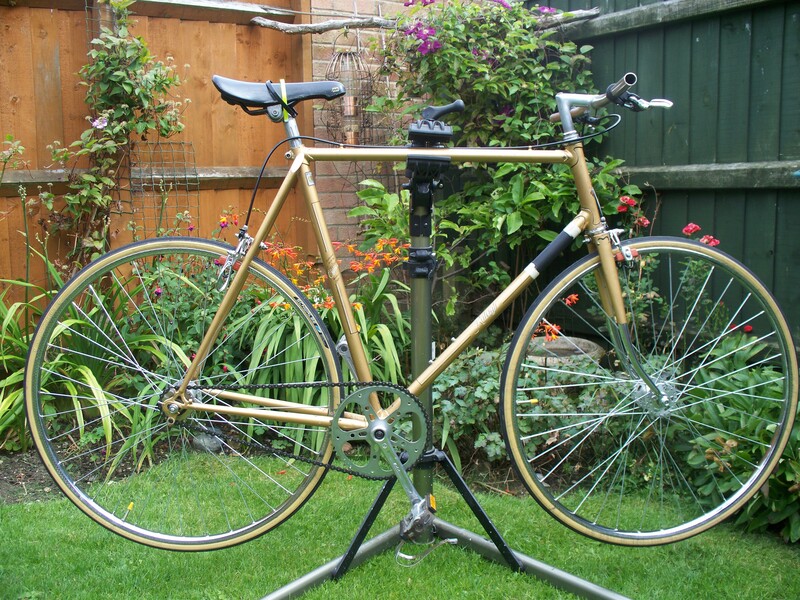 The build included new bottom bracket , 7 speed block , chain , cables all round , a pair of Vittorio Zaffiro tyres , cleaned and re greased wheel and headset bearings along with both wheels being re trued where required . I am afraid to say the vast majority of this work was carried out by local bike shop C E Adkins and then I finished it all off . Its initial test ride was a successful one with the only issues being found were the front mechanism stops wanting a slight tweak and a very noisy rear brake which squealed rather loudly when applied , but then what can you expect as when removed the pads looked like they were the original pads ! At the moment I have covered a grand total of 12 miles so it is early days but I can say it rides very nicely and I am looking forward to putting a few more miles on it . 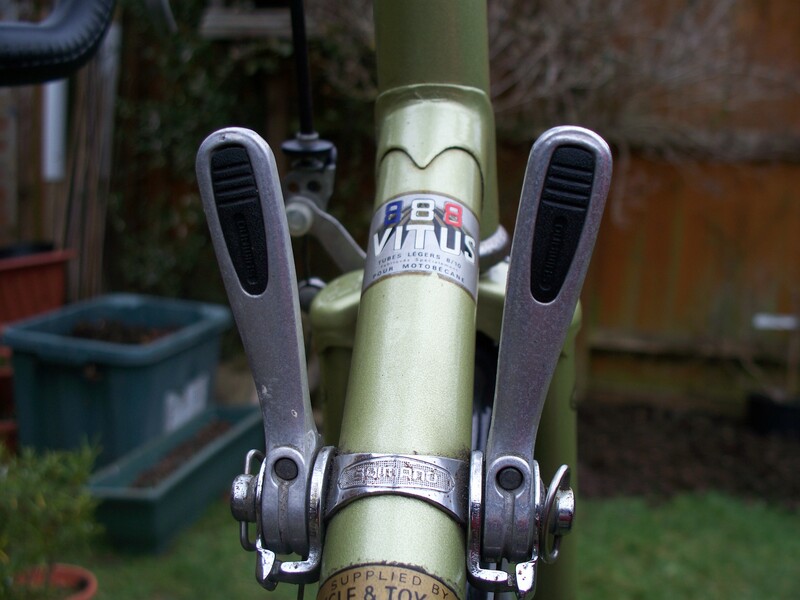 Most of the bikes I use and have used in the past have been more retro than modern bikes. 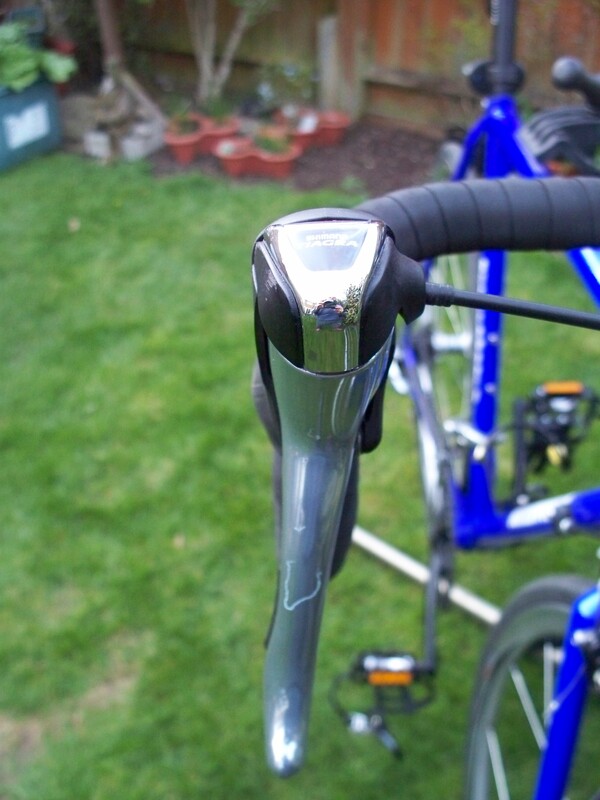 The vast majority of these have been fitted with non-indexed down tube levers making gear changes a bit of a hit and miss affair until you get used to the individual bike. 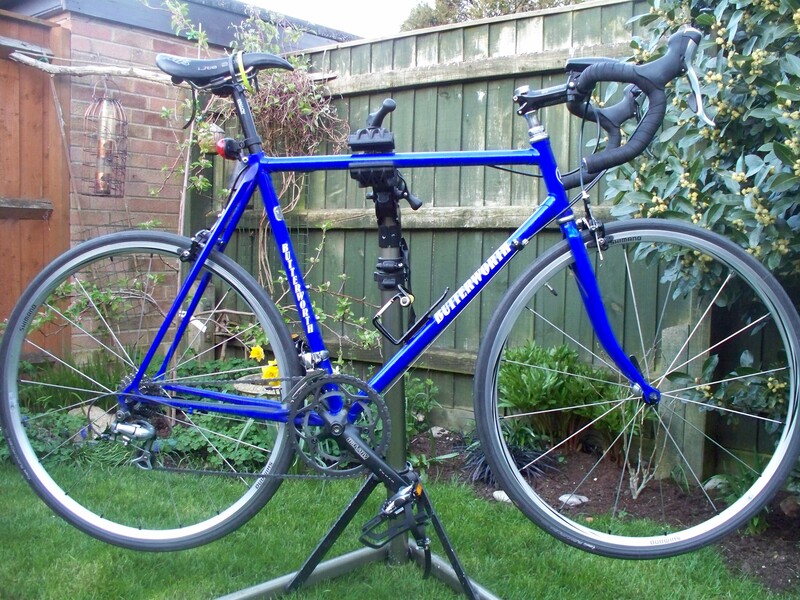 Well the last week has seen all my leisure rides being done on a Tony Butterworth road bike that was built around a New Old Stock Double butted Tange Cro Mo frame set that must date from the late 90’s or early 00’s at a guess . I can honestly say it has been a real pleasure to ride and I think it looks the part as well although I’m not sure about the quill stem converter , but that’s a small issue and easy enough to sort if required . This bike has been built using more modern parts than the majority of other bikes I own and ride . It is equipped with Shimano Tiagra Sti units and mechanisms that take care of the ultra-smooth 2 x 9 gear set up along with the Tutrativ Touro crank set and Radius branded brake calipers that look after the stopping power . Ride quality is further enhanced by the use of Shimano RS10 wheels and Vittorio Rubino “ Slick” tyres , these wheels are another nice modern twist to the bike that help its looks no end . As any other good quality steel frame it rides the bumps and lumps of the British roads well . After a couple of short distance test rides I have stepped up the miles on this bike and so far we are up to 22 miles being the longest ride undertaken . I even managed to dance my way up the last few hundred metres of a slight incline without any issues . I have been well impressed by the way this machine has handled all that I have asked of it . The finish of the paintwork is a nice deep blue in colour with white decals showing the Butterworth name , lugs are nice short spearpoint style without any lining to highlight them . Rear dropouts have the micro adjusters so you can set them so that the rear wheel slots in nice and straight without too much hassle . lacks is some guard mounting points and then it would be a true all rounder machine. Why do I get so frustrated every so often? 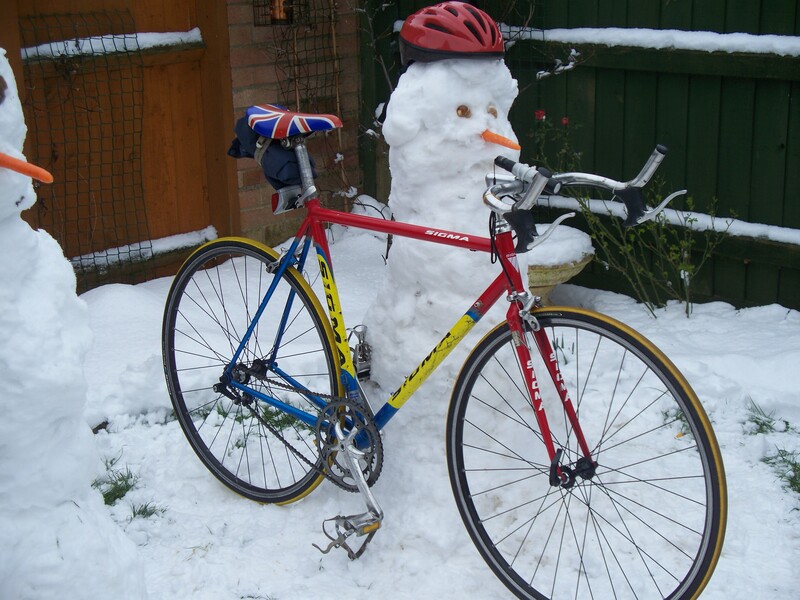 I shall tell you why…… , on a regular basis I get an e mail from an on line division of a well-known Cycle shop based in the UK. I don’t always go through the special offers but quite often I do just to see what is on offer. So today when the e mail notification turned up in my in box I clicked the link to see what deals they had on Guards. The 3 sets that fitted the bill for colour and size were surprise surprise non stock items …it’s no wonder they were so cheap as nobody would be able to take advantage of such a good offer . This seems to be the norm for this web site . Now I could do a website offering bits and bobs cheap and then mark them all out of stock when customers want to order them but that seems totally the wrong way to do business to me , but loads of retailers get away with it all the time . So for today only I am offering a brand new “ What’s it Flopper” for the remarkable special price of £1.99 and that is an amazing 48% saving off the normal retail price , but be quick as stock is very very limited !! !